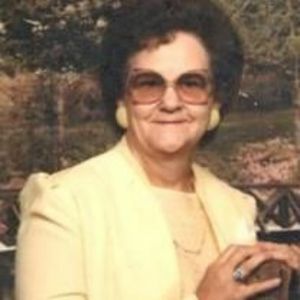 Shirley Ann Wright Coble, 81, of Danville, formerly of Julian, passed away on Wednesday, March 1, 2017. She was a Sunday School teacher at Grace Baptist Temple. A funeral service will be held on Saturday, March 4, 2017 at 2:00 p.m. at The Loflin Funeral Home Chapel; burial will follow in Grace Baptist Temple Cemetery. The family will receive friends on Friday evening from 6:00 p.m. until 8:00 p.m. at Loflin Funeral Home, Liberty. She was the daughter of the late George Wright and Elsie Staley Wright and was also preceded in death by her husband, Robert Lee Coble; sister, Ernestine Millikan; and brothers, Richard Wright and J. Rankin Wright. Surviving are her daughters, Paula Looney (Butch), Penny Humble (Danny) and JoAnn Turner (Dale); sons, Stevie Lee Coble and David Coble; grandchildren, Tonya Martinez, Dale Coble, Chris Humble, Eric Coble, and Samantha Whiteley. Loflin Funeral Home, Liberty is honored to serve the Coble family.